How to Get Rid of Geckos? From a pest control perspective, geckos are tough. On the one hand, these small reptiles do a great job in keeping down the numbers of flies and insects in our homes and businesses. On the other hand, when the population of geckos gets out of control, they can become more of a nuisance than the insects that they were helping to get rid of. So what do you do when your home is overrun with these tiny lizards? There are plenty of products available to help you deal with a gecko problem, but how do you know which one to choose? Well, that’s why we’re here to help you. Read on for the ultimate guide to the best-selling gecko traps and gecko repellent products to rid your house of geckos. Lizard Defence is a very popular brand of gecko repellent. This formula, which comes in a spray bottle for easy application, works on all types of lizards, not just geckos. It’s all- natural formula ensures that no harm will come to you or your family from applying this product around your home. It works by utilizing a smell that is quite pleasant to humans but is very objectionable to geckos and other lizards, driving them away. As a result, this is a humane way to rid your home of geckos and other lizards, since it doesn’t actually harm these beneficial animals, but only makes them want to leave your home and go take up residence somewhere else. Lizard Defence can be used both indoors and outdoors to keep geckos away from your property. Just remember, as with all sprays, this spray can be washed away by rain, and so it may be necessary to reapply Lizard Defence after it rains. Online reviews of Lizard Defence are generally very positive. People seem to be quite impressed by the efficacy of this product, as well as its ease-of-use and lack of an offensive odor. It’s no wonder that Lizard Defence seems to be the most popular product among those looking for a gecko repellent. 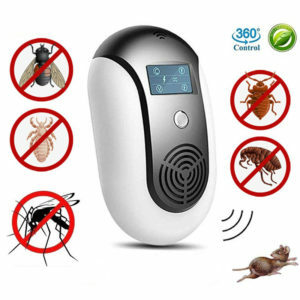 The ZMKDLL Ultrasonic Pest Repeller works by emitting an electromagnetic wave. This wave cannot be heard or felt by humans or pets such as cats and dogs, but it works to repel other animals including, but not limited to, lizards such as geckos. 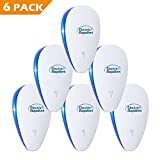 Not only will this product make geckos want to leave your home for good, it also helps to keep away the insects that geckos eat, such as flies, cockroaches, ants, and others. Remove the gecko’s food source, and they will be less likely to come into your home in the first place. Also, the electromagnetic wave is not harmful to the animals, beyond perhaps giving them a headache. So it’s completely humane to use this product to prevent geckos from coming into your home. And unlike the chemical spray, there is no smell associated with this product. Nor will it be affected by the weather. You simply plug it into an electrical outlet in your wall and let it do its thing. After a while, you’ll probably forget that it’s even there. But the geckos and the insects won’t. 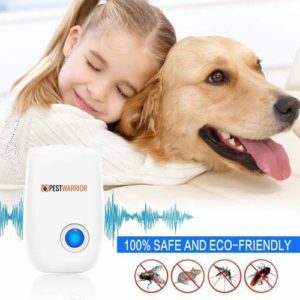 One thing you need to be aware of when using a device such as this to repel geckos from your home is that the effectiveness of the sound wave can be diminished by walls. You may need to buy more devices to cover your home completely. One device in each room should be more than adequate. Also, this device is not recommended for use outdoors. So if you’re bothered by having geckos in your garden, you may need to look to something else in addition to this product to completely clear your property of geckos. Unlike a spray or a granular location, these devices do use some electricity. The amount they use is quite small, less than a small nightlight. But it’s still something to consider if you live in an area that suffers from frequent electricity blackouts. Without electricity, these ultrasonic devices simply won’t work. And if you’re electricity is down for a long time, the geckos could easily come back into your home and be quite comfortable there. This is a problem that gecko repellent sprays, granules, and traps don’t have. So it may be something you need to think about when you make your choice of what gecko repellent to use. Lizard Blocker All Natural Lizard Repellent is another product that is often used to repel geckos from inside people’s homes. Like Lizard Defence, this product doesn’t harm the geckos, but it does emit a smell that they find offensive which will help drive them away. Also, like Lizard Defence, this product can be used indoors and outdoors, but it will be affected by the rain and will need to be re-applied outdoors if it gets rained on. Unlike Lizard Defence, however, Lizard Blocker comes in the form of dry granules. Some people find it easier to apply in this dry formula around the home than it is to spray, while others prefer the liquid format. It often comes down to a personal preference. Lizard Blocker is made with all-natural ingredients and is biodegradable, so you don’t have to worry about it harming the environment as it breaks down. And if a non-target animal such as a cat or dog accidentally eats some of the granules, it shouldn’t do them any harm. Plus, the granular format ensures that there is little to no smell associated with this product. Customer reviews of Lizard Blocker are mixed, with some people very happy with the results it gave them and others less impressed. It might be a good idea to give this product a try, and use it in conjunction with some other products to see which works best for you. 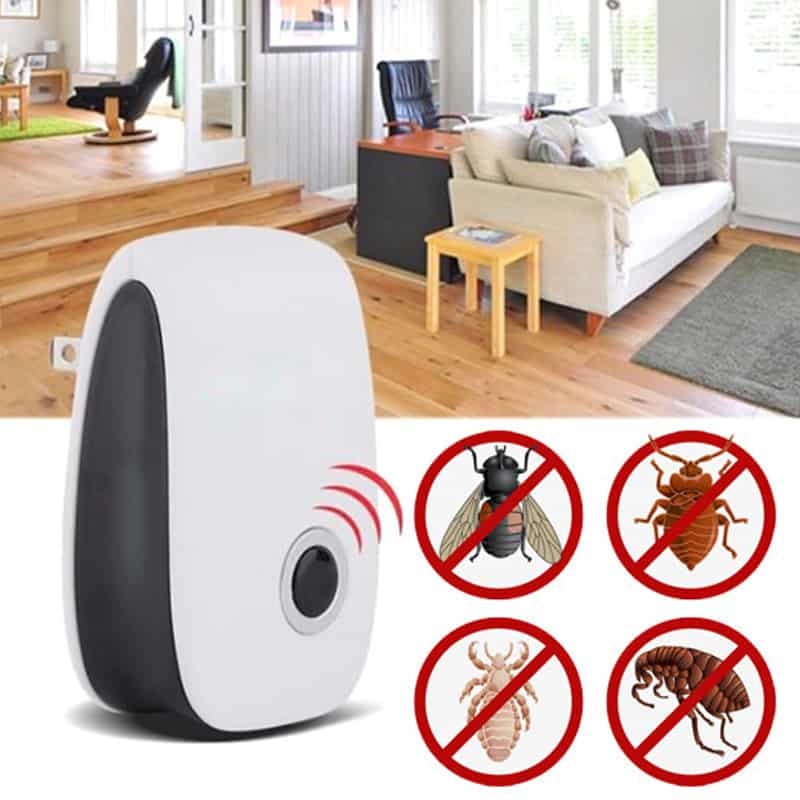 In fact, effective pest control often requires the use of a number of different methods, since every product and method of pest control has its own unique strengths and weaknesses. Pest Rid is another popular spray product that people use to repel geckos from inside the home. Pest Rid is marketed as being effective against not only geckos but also other creatures such as frogs and snakes. Its all-natural formula is safe for use for humans, cats, dogs, and birds, but the smell it emits will chase away reptiles and amphibians from your home and garden. Like the other gecko repellent sprays, this product is humane to use, since it doesn’t harm the geckos, but only makes your home very uncomfortable for them so that they will go and live somewhere else. Some people find the smell of Pest Rid quite unpleasant, even though it’s not in any way harmful to humans. It has hints of garlic and cinnamon that some people find offensive, so that might be something to consider when choosing a product to use as a gecko repellent. Like the other sprays on this list, this spray can be used indoors and out but will need to be reapplied after it rains. This spray comes in a convenient spray bottle that makes it very easy to use. Simply spray some Pest Rid around your windows and doors, and also look for any cracks and crevices in your walls the geckos may be using to hide in or to access the interior of your home. You could also consider using it as a perimeter spray around the outside of your home, especially along fences and gates. But remember that geckos are very good climbers. When trying to use gecko repellent to keep them out, it’s important to think in three dimensions. They don’t always walk along at ground level, but often climb walls and run along ceilings. So make sure you apply the repellent to these areas too if you wanted to be truly effective at getting the geckos out of your home. If you’re not keen on using a repellent gecko spray and would rather trap them, you could consider these Catchmaster glue traps. The concept is quite simple; these traps are simply pieces of cardboard with a very sticky glue coating on one side. The traps can be laid flat on the floor or folded so that they are partially covered. This makes it less likely that you, your children or your pets will step on them and find the traps stuck to you. Be warned, this glue is extremely sticky! These traps are passive, which means they are not designed to attract geckos. Instead, they need to be placed in areas where geckos will walk into them. It is best to situate these traps along the walls and near cracks and crevices where geckos and other pests like to hide. Once a gecko walks across the glue, it will become stuck. The trap will hold it in place until you find it and get rid of the lizard. Unlike repellent sprays, these glue traps are not very humane for the geckos that get stuck in them. Animals can die of stress or dehydration in these traps. It can be very upsetting for some people to see a live animal struggling against the glue of these traps, so consider that before you buy. If you’re not comfortable dealing with a trapped lizard, then a repellent spray may be a better option for you. But if you are not so squeamish, glue traps can be an effective way to remove the geckos from inside your home. These glue traps also work on other pests such as snakes, mice, cockroaches, spiders and other bugs. So if you’re having a problem with multiple pest species, these glue traps could really help you out. These glue traps are also good for monitoring pest problems. Professional exterminators often use these traps as monitoring devices. They set them up in various areas throughout the home, and check back a few days later to see which glue boards have caught the most pests. This can give a good indication of where the areas of pest problems are in your home. It will also help you understand what kind of pests you are having in your home. Geckos primarily come into people’s homes in their search for insects to eat, and using glue boards can help you understand exactly what kind of insects are in your home and where exactly in your home they are living. This knowledge can help you to rid your home of insects, and make it much less attractive to geckos to come inside. Here’s a helpful tip when using these glue traps. The glue that these traps use is extremely sticky, and if you get some on your hands or you accidentally step on a trap, you’re going to have a very hard time getting the trap off. Simple cooking oil, such as vegetable oil, does a good job of breaking down the adhesive in the glue. So if you do get a trap stuck to yourself, or your dog or cat steps in one, you can use some oil to break down the glue and slowly, carefully remove the trap. The trap will be ruined, but fortunately, these traps are quite cheap and easy to replace. Mikado’s Organic Lizard Repellent is a herbal product that claims to be nonpoisonous, odorless, and totally safe for people and pets. Like some other products on this list, it works by producing a smell that geckos don’t like, and the smell will repel them from your house. The product comes in a package with some other repellents, one for ants and one to protect your plants from beetles. 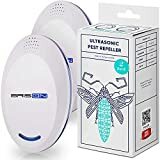 So if you’re having problems with multiple different types of pests, it might be worth trying this product to get rid of insects as well as lizards. This product isn’t as popular as some of the others mentioned, and so fewer reviews mean less is known about its efficacy. If you’re willing to try something new, or you have the exact pests that this product is marketed as being useful against, it might be worth a try. But if you want to go with only the most well reviewed and most trusted product, then something like Lizard Defence might be better for you. Bear in mind that geckos come into your home for a reason. As well as providing shelter from extreme weather, our homes can provide lizards such as geckos with an abundant food source in the form of insects like flies, cockroaches, ants, and others. If your home doesn’t have problems with other insects, then you’re unlikely to have a major population of geckos living with you. So often, the solution to a problem with geckos can be as simple as getting rid of the insects that they eat. 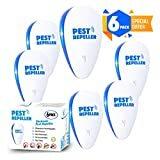 There are many products available on the market to rid your home of insects, and it might be a good idea to try some of these and see if you can get rid of the geckos by getting rid of that food source. Not only will you have fewer geckos, but you’ll have fewer insects in your home, and that’s always a good thing. When it comes to gecko repellent, there are a number of choices of different products to use. What works in one situation may not always work in another. Each pest situation is different, with different issues and different challenges, so you may find that the solution to your gecko problem is a combination of several different products. Whatever product you do decide to use, remember to always carefully read the label before using. The manufacturers often include very important safety information on the label that you need to know before applying. Having geckos in your home is bad, but not nearly as bad as making yourself sick with an incorrect application of a pesticide. We hope that this article has helped you to choose the best gecko repellent to rid your home of geckos and other pests. Good luck!